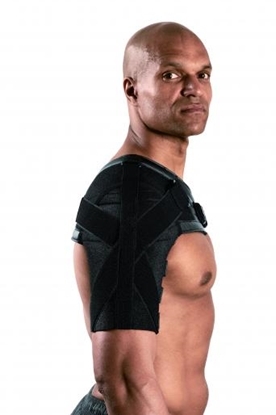 An anatomical shoulder support designed to provide stability and compression for an injuried shoulder. 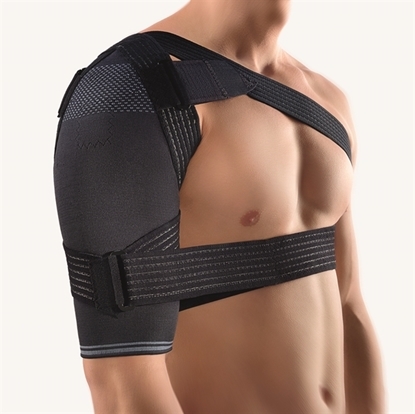 Active support for the treatment of the shoulder joint. 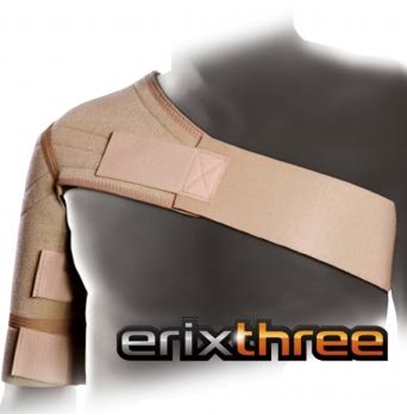 ErixOne shoulder brace, complete with all accessories. Shoulder brace, complete with all accessories. Anterior/posterior support of the shoulder up to 90 degrees abduction. ErixThree® has been developed for patients with subluxation problems that need assistance to lift and hold the shoulderjoint in place, after stroke or neurological problems.